While working for Skirball Group Architects, I managed the renovation project from schematic design through construction documents. I also coordinated the bidding process and construction administration. 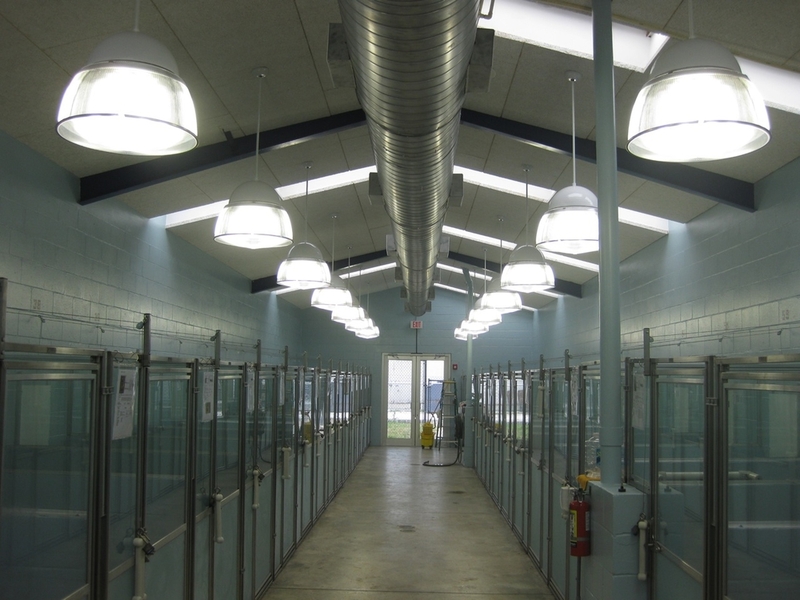 The key challenges of this project were to find a way to add air conditioning to the existing indoor/outdoor kennel and to modernize the kennels, bringing them up to current best practices standards of care in the industry. At the time the original facility was built, traditional kennel design housed dogs in concrete block stalls with chain-link gates, forcing them to “guard their turf” from dogs and visitors directly in front of their cages. This situation created a loud and stressful environment for the dogs which was not conducive to their health or a calm demeanor. The goal of the kennel renovation was to find ways to create a more peaceful environment with happier dogs that would be easier to adopt. My design solution focused on adding more natural light through replacement skylights; removing the old dropped acoustic ceiling; insulating the existing metal building structure in expanding foam insulation; creating a new vaulted ceiling using Tectum acoustic panels; and adding exposed spiral ductwork and a highly efficient lighting control system which continuously monitors natural light levels and supplements with artificial lighting when necessary. The original rusty, galvanized cages were replaced with clean steel and glass doors, the lower half of which were sandblasted to give the dogs visual privacy. 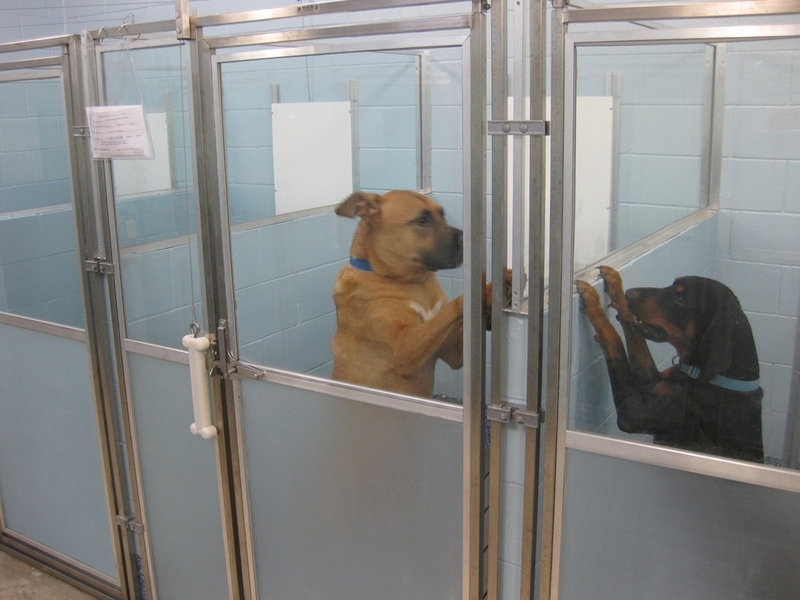 The new environment is much quieter and healthier for dogs and caretakers, and more appealing to prospective adopters.